The NERVA Girls series kicked off Sunday, March 3. SMASH participated in eight tournaments throughout New England, winning five of them, with four teams placing second! 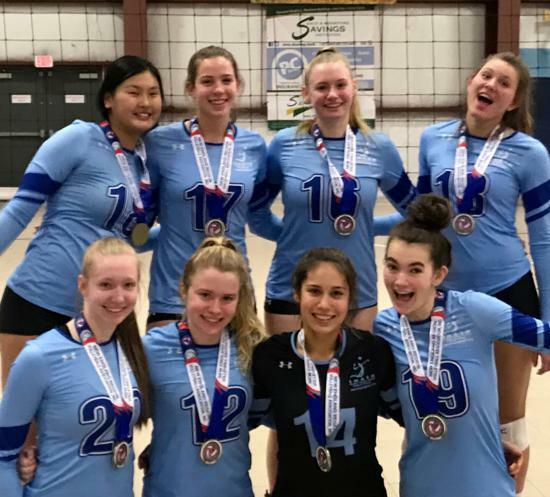 SMASH 18s won 18 Open Gold, with SMASH 17s placing 2nd and 18s Attack placing 4th. 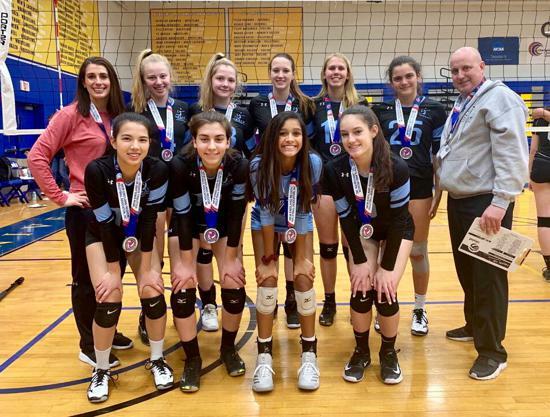 SMASH 16s won 18 Open Silver, with 17s Black Ice and 18s Blizzard placing 3rd and 4th. In 16 Open Gold, SMASH 14s finished 2nd, with SMASH 15s and 16s Sparks placing 6th and 8th. 16s eXtreme won 16 Open Bronze, and 15s Power finished 2nd in 16 Open Copper. 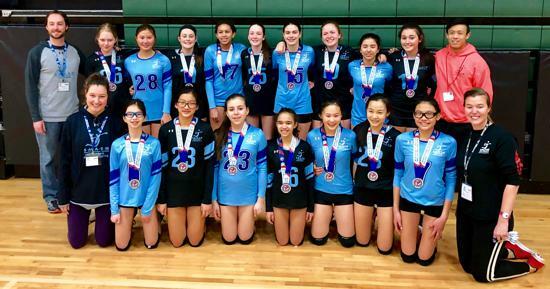 14s Fire beat SMASH 13s 25-22 in the gold final of 14AA, 13s Thunder finished 3rd in 14A, and SMASH 12s finished 1st in 13A! NERVA II is scheduled for Sunday, March 17. SMASH 12s won the top (and only) division of New England U13. 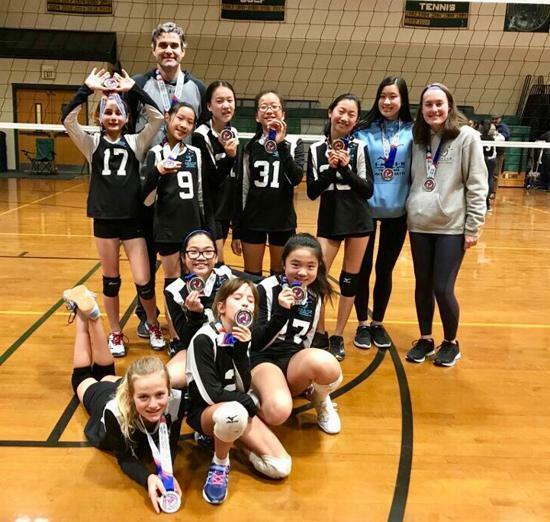 They are the first SMASH 12s team ever to play up an age level, and posted a 9-1 record en route to their tournament crown! SMASH 15s Power finished 2nd in 16 Open Copper! Nationally-ranked SMASH 18s won 18 Open Gold! 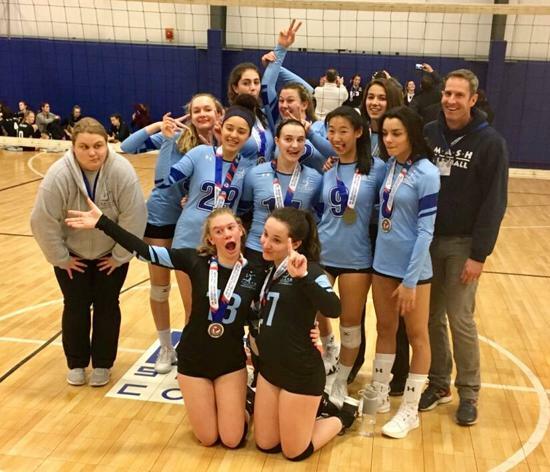 SMASH 14s Fire and SMASH 13s finished 1st and 2nd in the top level of New England U14. They train together every Tuesday night! 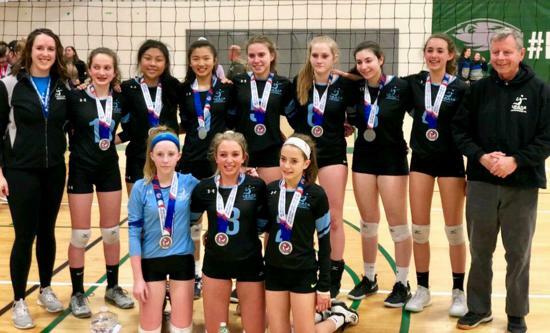 SMASH 14s placed 2nd in 16 Open Gold, narrowly losing the final 26-28! SMASH 16s eXtreme took 1st place in 16 Open Bronze, racking up an impressive 9-1 set record! 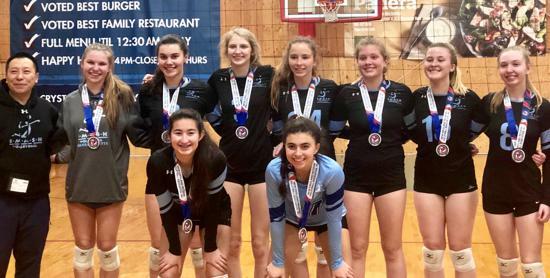 SMASH 16s won 18 Open Silver, and were voted Best Burger!